As many of you may know, I am lucky enough to have a wonderfully supportive boyfriend, Paul, who shares my passion for health and fitness. He also happens to be an NSCA & ASM Certified Personal Trainer and Nutrition Specialist (he’s quite a catch 😉 )! He has been nice enough to help me design my workout plans to meet my changing needs and goals. For a stretch of time last winter/spring I was extremely limited in my capabilities as I was recovering from the lingering effects of mono and adrenal fatigue. Now that I’ve got 2 thumbs up from my holistic doc, I’ve been back at the gym and ready to make up for lost time! My main focus right now is increasing my speed and power with the end result being a decrease in fat/improved body composition. It seems that whenever I tried to lose “weight” the scale would not budge and despite getting stronger each week, I found myself extremely discouraged. Paul suggested emphasizing performance goals instead of arbitrary numerical goals instead and that has certainly improved my confidence. When losing “weight” is the main goal, we (especially us women!) 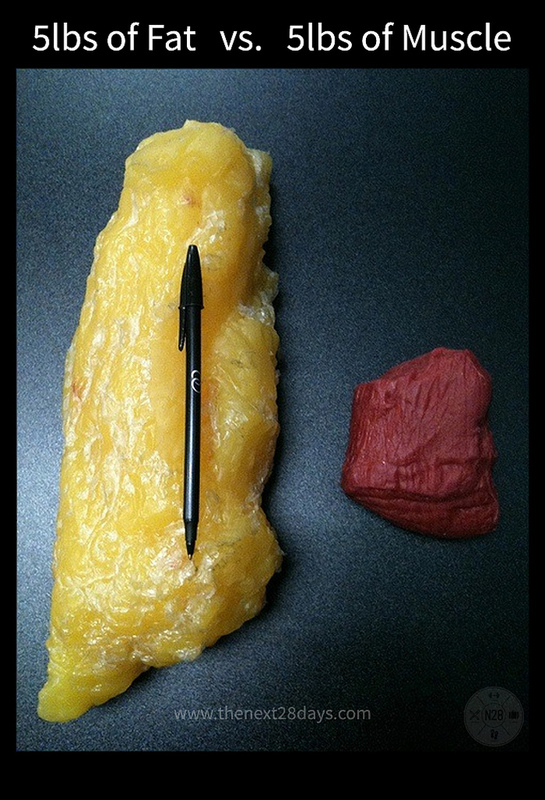 tend to only care about what the scale tells us, instead of taking into account our body composition. I don’t know about you, but I’d rather be 10lbs heavier and have visible muscle than be 10lbs lighter and look flabby. This is something that has taken me a very long time to come to terms with. I now use the scale every week or two just to get an idea of where I’m at. I have enough fat to lose that I do anticipate the number on the scale to have a downward trend for quite some time, but realize that it will not be as rapid as it could be if I were focusing only on cardio and failing to eat enough protein. Without further adieu, here is my current workout program. Notice how little cardio is included! Note that movements inside of brackets i.e. (barbell x 5) denote a warm up set. Ummm..hello?! Who doesn’t want that body? Hill sprints! Since my goal is to increase speed and power, HIIT (high intensity interval training) is the way to go. Sprinting is one of the very few cardiovascular activities that actually builds muscle. I start by walking to my favorite hill (it’s actually more of a love/hate relationship) which is about a mile away. Then I run up it as fast as I can and walk back down repeating one more time than the week before. Currently I’m at 8 sprints. Then I walk back home. It’s extremely taxing, but it’s over quickly which I greatly prefer to my distance days when I’d be running for hours straight. FINISHER: Single Arm Upside Down Kettlebell Carry (that’s a mouthful! ): Walking the length of the gym twice with each arm. On my way to a 7 minute mile! Thursdays I have been running 2 miles focusing on speed. Since my goal is to run a 7 minute mile by April, I start out running as fast as I can for the first mile, then walk for a stretch then run the second mile as fast as I can back home. I’ve been able to shave between 15 and 20 seconds off of my time each week thanks to the sprint work and strength gains in the gym. I know I’ll get there, but Thursday is the only day of the week when I push myself to the point of near sickness. Pull Ups: Adding one each week. I’ll be stringing them together soon but right now I rest as needed, usually between each rep. Currently up to 6 full pull ups. Prrreetttyyy sure this is what my face looks like when I’m sprinting. Flat land sprints! I walk to my favorite street that’s in a quiet residential area and sprint until my lungs catch fire. Adding one sprint each week, I’m currently up to 8. I love getting these done first thing in the morning! REST/ Active Recovery. Paul and I try to do something active every Sunday like hiking, rock climbing, snowboarding etc. Nothing too taxing, but something to keep the blood pumping. This is my 5th week on this program and I’ve been noticing fantastic results so far. I’m building muscle and getting leaner each week. It’s a slow process, but I’m happy to finally see results again. If you’d like advice on starting your own personally tailored plan, give Paul a call or shoot him an email! He’s great at designing plans that will work for your needs and is extremely affordable. That’s all for now, off to the gym!